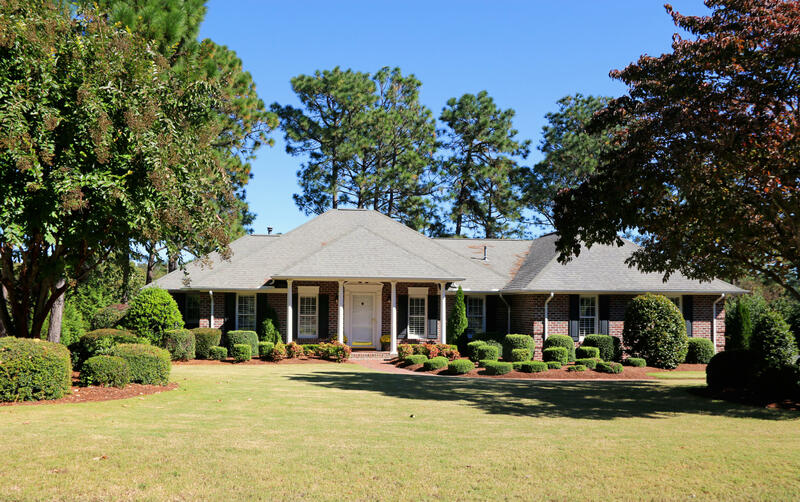 Beautiful, golf front, single-level, traditional, brick home on the 8th fairway of Longleaf's Golf Course. Gas fireplace in living room. Granite and stainless steel appliances in kitchen. Double sinks, jetted tub, separate shower and HUGE walk-in closet in master bedroom. Split bedroom plan. Plantation shutters, hardwood floors, fresh interior paint, established landscaping, irrigation and fantastic views off the large deck, make this property a unique find in the heart of The Sandhills and on one of the areas premier golf courses which is home to the US Kids Golf Academy. Transferable termite bond in place with Aberdeen Exterminating and Security System available with ADT. This gorgeous property has it all, and it won't last long!